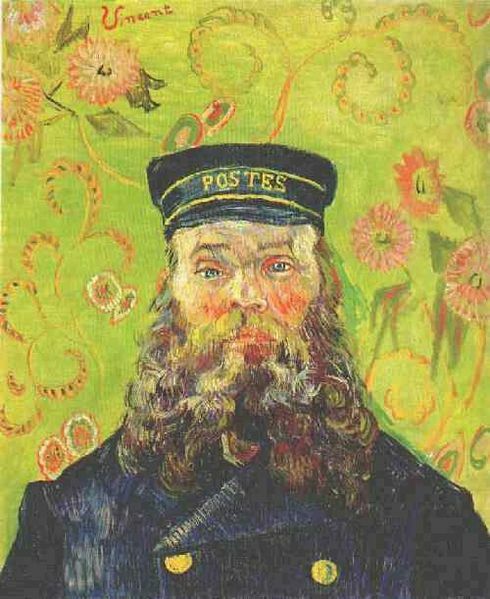 Today I leave you with two richly evocative quotes from God After Metaphysics: A Theological Aesthetic by Greek Orthodox theologian John Panteleimon Manoussakis (previously excerpted here) accompanied by relevant paintings..
Van Gogh, Portrait of the Postman Joseph Roulin , December 1888. 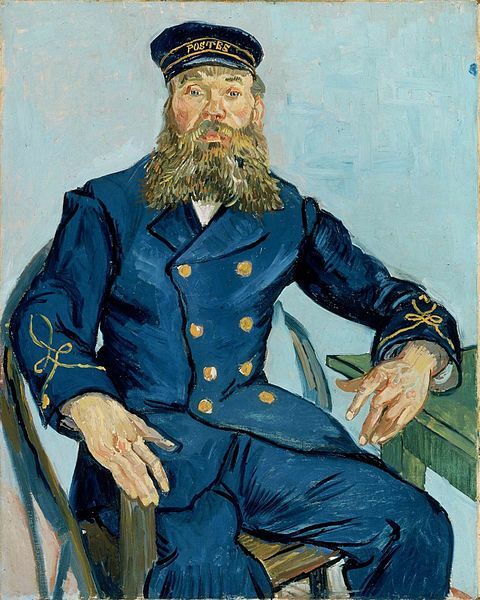 Van Gogh, Portrait of the Postman Joseph Roulin , August 1888. 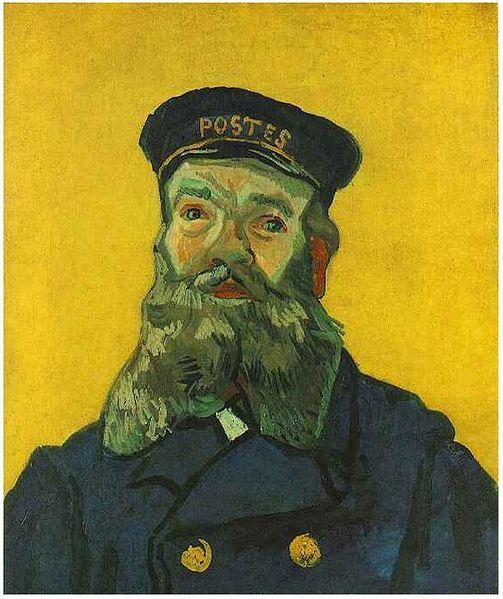 Van Gogh, Portrait of the Postman Joseph Roulin , April 1888. What I found most interesting is how the “halo” comes through differently in each of these monumental Van Gogh portraits of the same quotidian subject. But is there anything quotidian about the undesirables–the homeless, the undergraduates, and the lawyers–whom you meet in the streets? What’s more, can you bare to look at this aspect of your mailman’s face without averting your gaze? 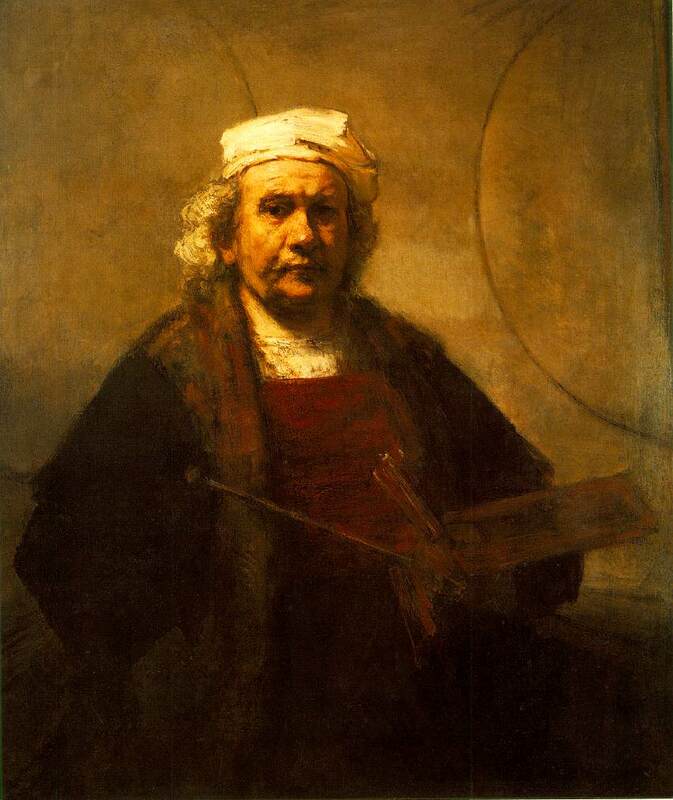 This entry was posted in John Panteleimon Manoussakis, painting, Rembrandt, Theology, Van Gogh and tagged art, John Panteleimon Manoussakis, Musée d'Orsay, Painting, Rembrandt, Van Gogh, Van Gogh Museum, Vincent van Gogh by cosmostheinlost. Bookmark the permalink.